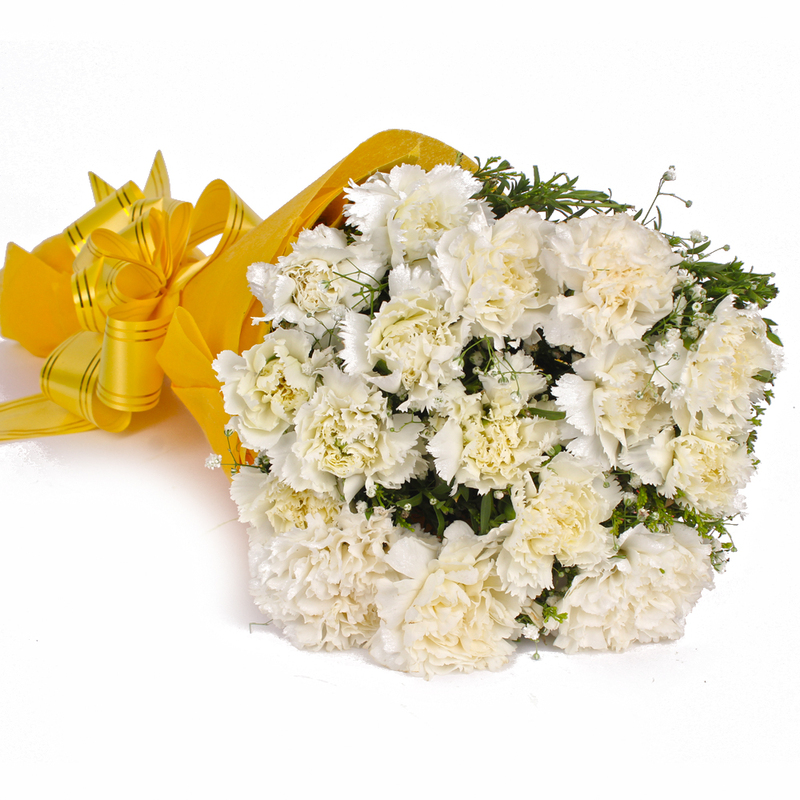 Product Consist : 15 White Carnations with green fillers in Tissue Wrapping with Ribbon Bow on it. 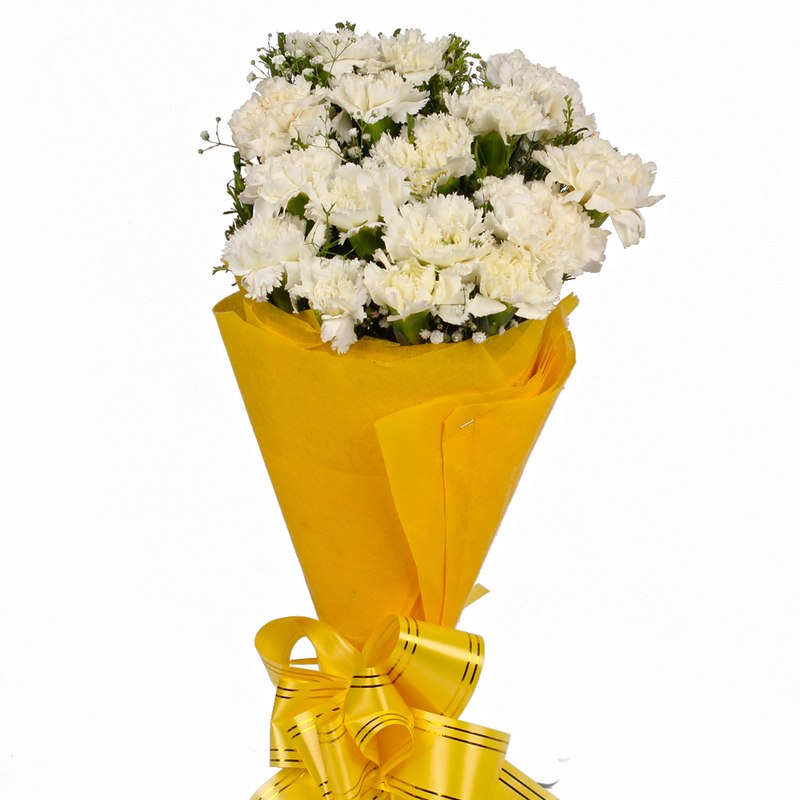 The gift item is a bunch of white carnations. 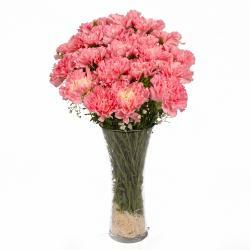 The flower arranged consists of fifteen. 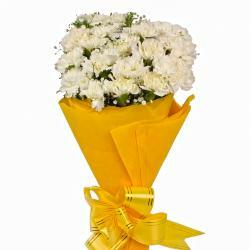 This flower arranged on the designer tissue paper is a perfect gift for gifting your special someone as flowers help in representing your feelings in a unique manner. . Elate the one you love by gifting this on various occasions Birthday, Anniversary, Romantic, Valentines Day, Missing You. 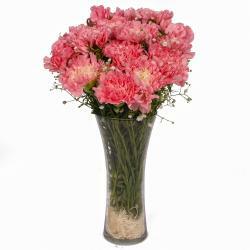 So go ahead and place your order now. 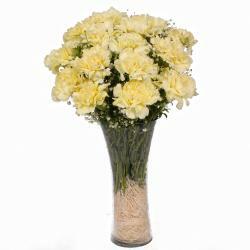 Product contains : 15 White Carnations with green fillers in Cellophane Wrapping with Ribbon Bow on it.